Saturday, 1 October 2011, Day 312/365. I don’t normally watch football on television. We have an annual outing to an AFL match and I get a large dose of football watching my son play and that’s more than enough for me. 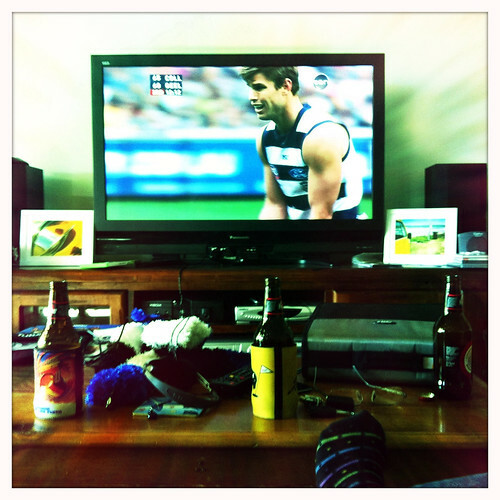 However, it was the AFL grandfinal and if I’m going to watch it that will be about the only time. As our camping trip was postponed by a day due to The Surfer’s son being ill, we parked ourselves in front of the tv and watched the game. Sunday, 2 October 2011, Day 313/365. What a difference a day makes. Early Sunday morning we headed off for our shortened long weekend. At least we missed the traffic! 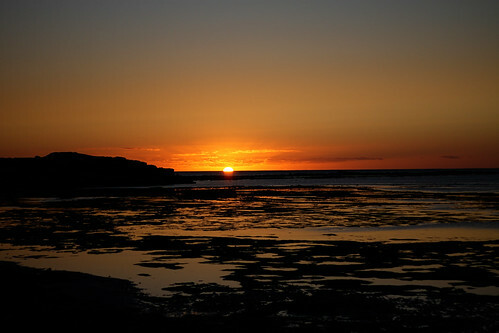 This was the view from our campsite – not bad ey? Monday, 3 October 2011, Day 314/365. This photo is pretty much the same view but during the day. We were lucky that not many other campers were around the place, apart from our group of course. It’s amazing how quickly the time goes when you’re camping. I must admit we didn’t rush out of bed in the mornings. Then when we did get up it takes longer to organise breakfast than it would in your own kitchen. All the charm of camping. I took a facewasher so I could at least wash my face, and cleanse away the night’s sleepiness. I took too many clothes. It’s not worth putting clean things on every day apart from underwear. I would have thought I’d know by now that I only usually wear half of what I take away with me, but no. By the time breakfast is over and cleaned up we’d decide what to do. We only really had one full day there, and that was the Monday and we went to a nearby beach. 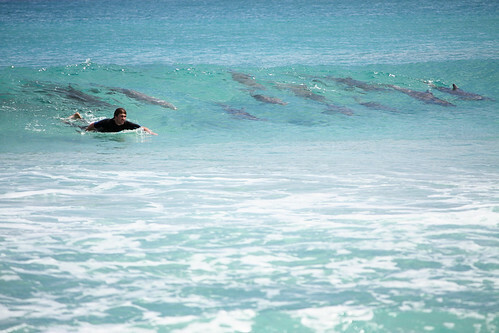 Last year the dolphins came in quite close and swam with the surfers. This year we saw them but they were a lot further out. The beach we went to is notorious for rips and we told the kids where they were and to stay away from them but sure enough they drifted over into one. Luckily they were fine and it brought them into shore rather than taking them out so all was well. I didn’t learn until recently that you can tell where a rip is because there is breaking water either side of it. I even went into the water with a borrowed wetsuit. The water would have been too cold for me without it although I did it last year for less than one minute. 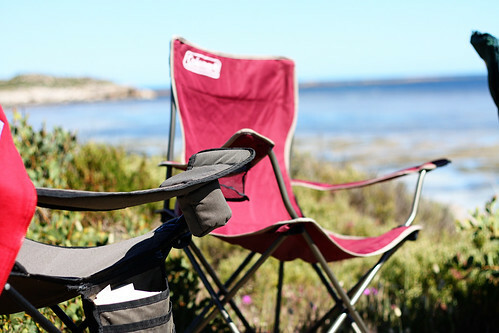 By the time we got back to camp it was time to sit and watch our view out to sea while drinking some wine and having some yummy nibbles, oh and collect firewood for the evening fire. I love campfires.